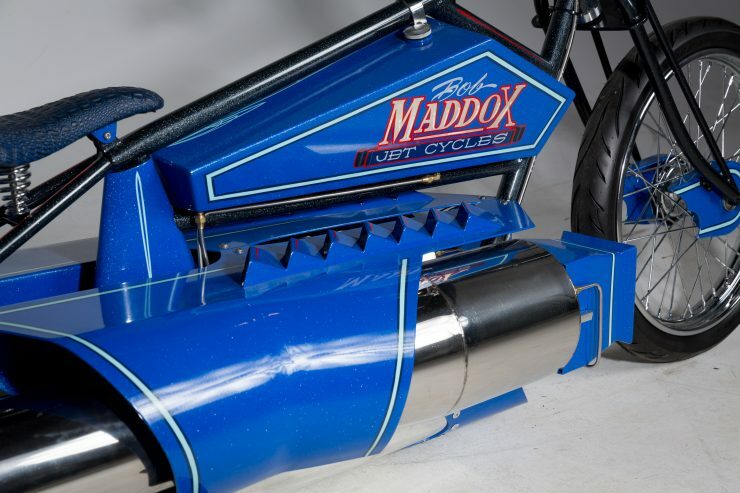 Robert “Rocketman” Maddox has been building pulsejet-powered vehicles since the 1990s, and is now considered one of the world’s foremost experts on pulsejet design and construction. 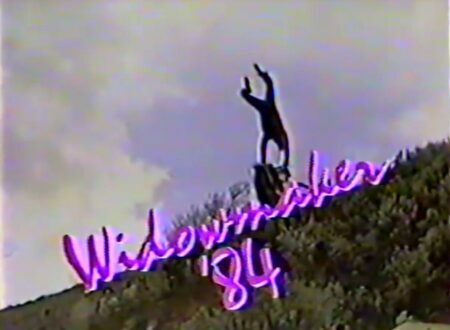 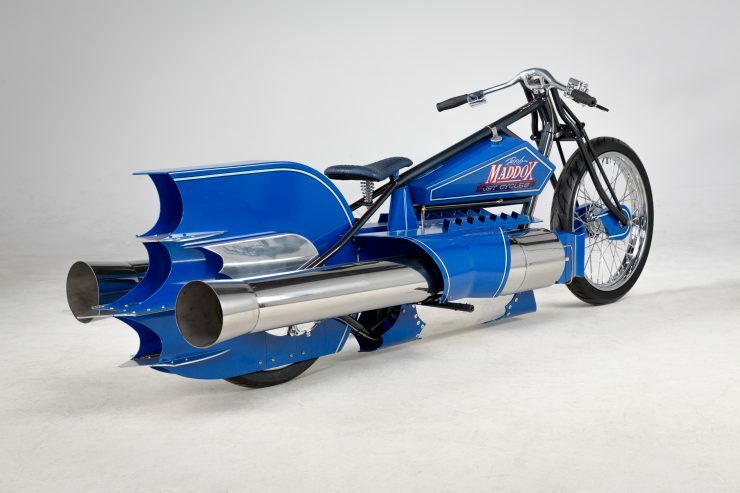 Robert first became interested in pulsejets after taking up skydiving, and becoming curious about the mysterious engines that powered the German V-1 buzz bombs during the Second World War. 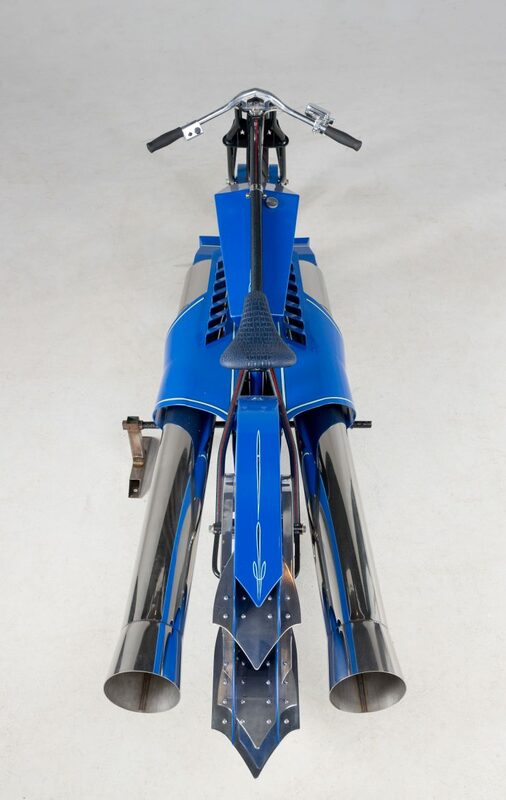 Pulsejets were first patented in the early 20th century in Europe, where their relatively simple mechanism and low weight made them a target for further development. The pulsejet is exceptionally light for the power it produces – but it can be a little thirsty and more than a little noisy. 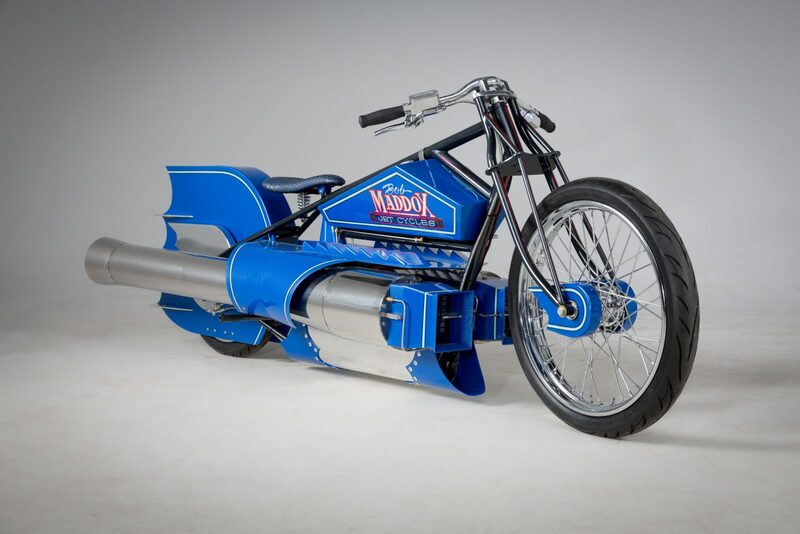 For those wanting to build a working jet engine at home, the pulsejet is often the ideal candidate. 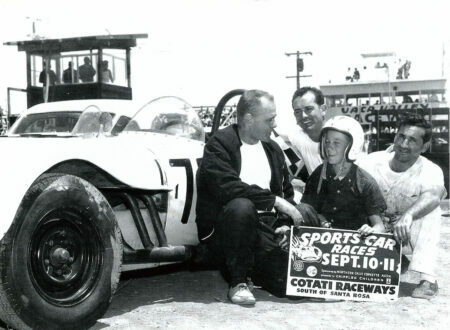 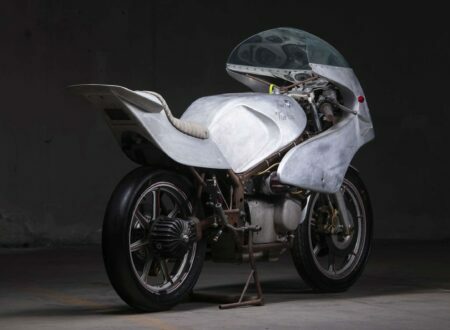 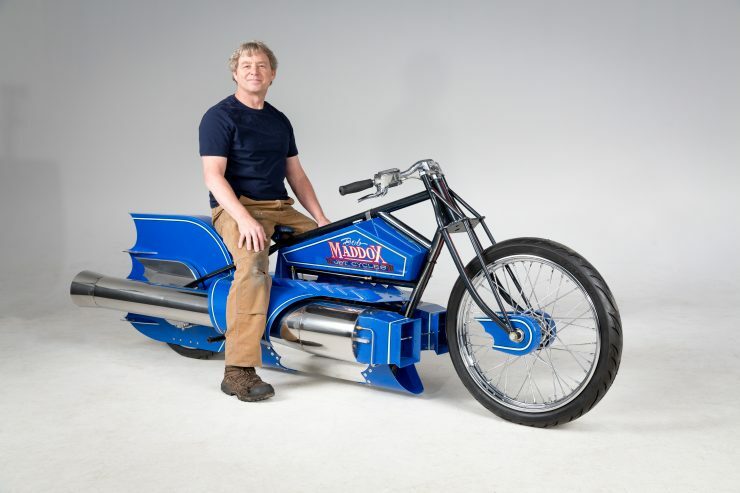 Robert sells kits for those who want to build one as a personal or school project – and depending on the size and number of engines you build you can power anything from a bicycle to a landspeed car. 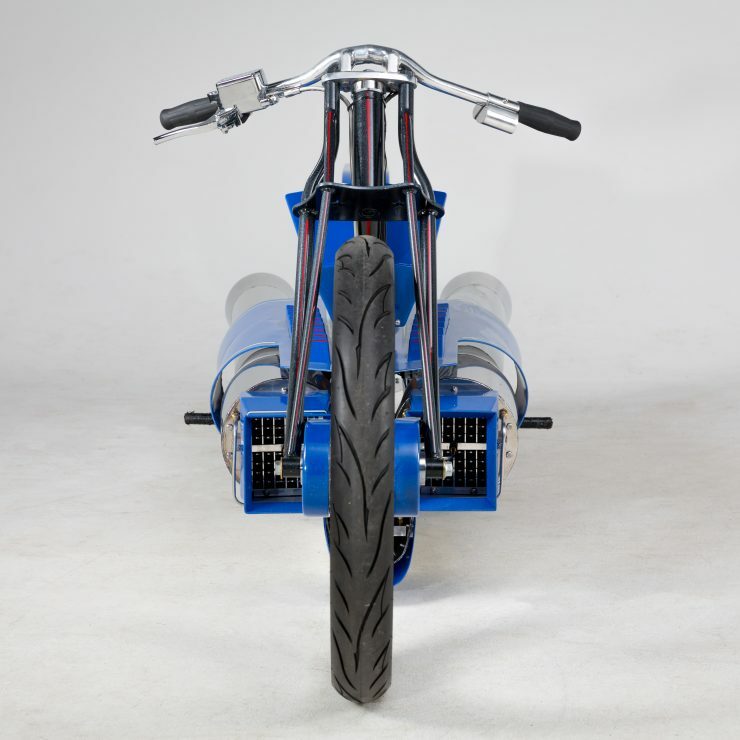 The pulsejet motorcycle you see here is the latest creation by Robert, it features twin engines each producing 110 pounds of thrust at peak, and they run on regular pump gasoline to keep life nice and simple. 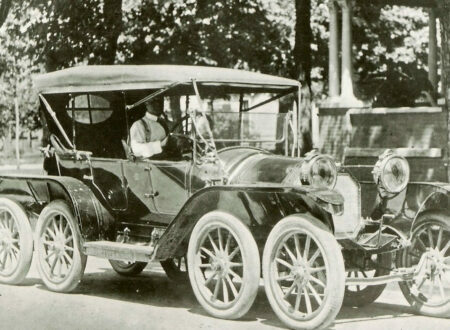 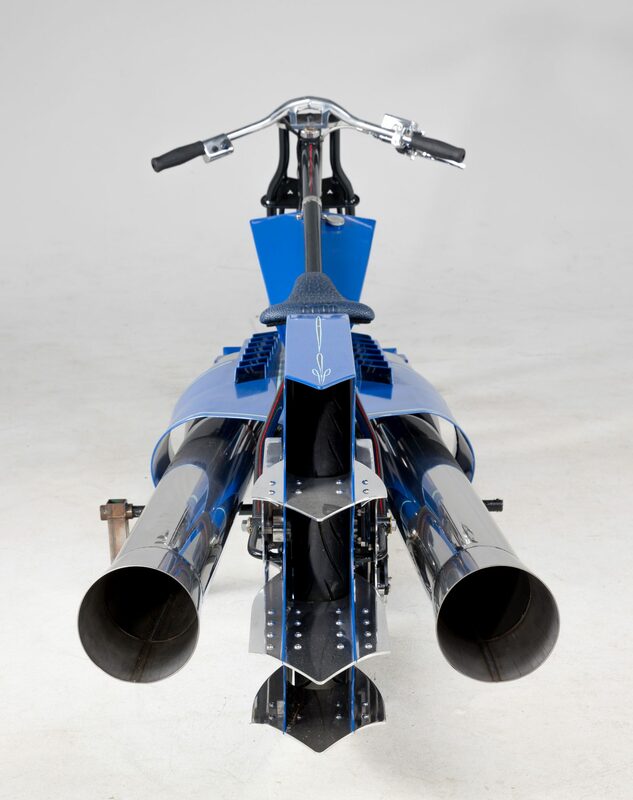 Sadly, it’s not street legal – largely due to the fact that it’s as loud as a blown dragster, and the fact that anyone attempting to tailgate you would have their front end melted off. 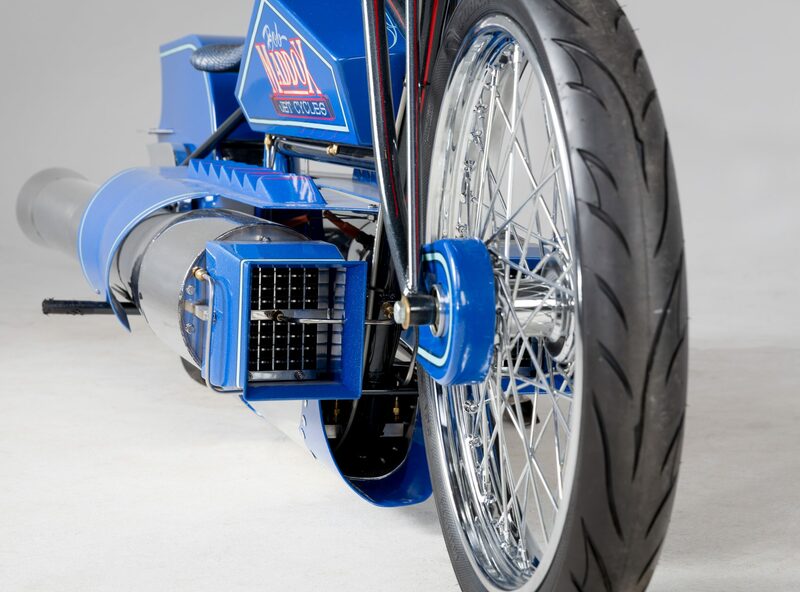 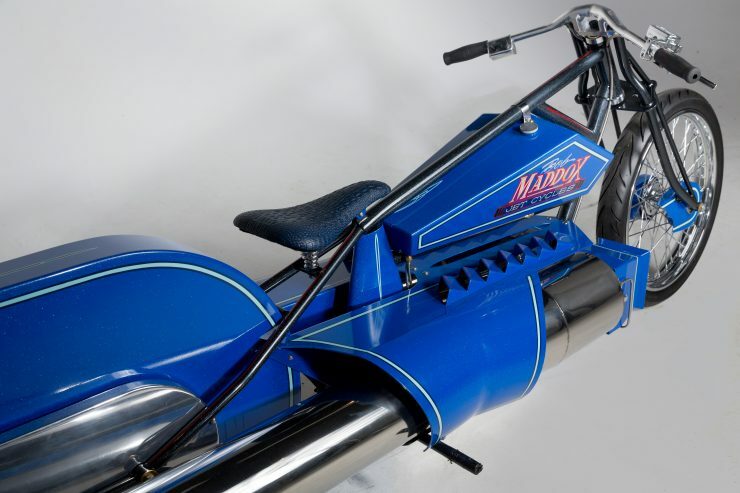 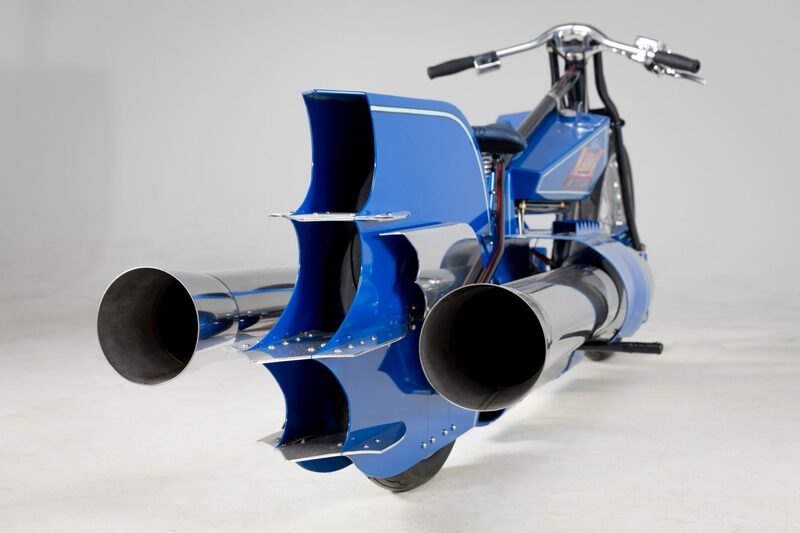 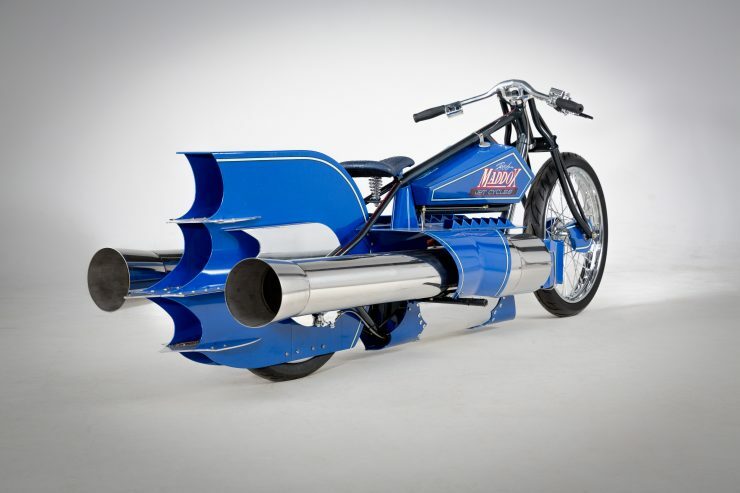 Robert built it to be a fully-functioning pulsejet motorcycle able to be ridden and run for display purposes at shows and fairs (and for fun) – a great way for companies to draw huge crowds and make an ungodly amount of noise. 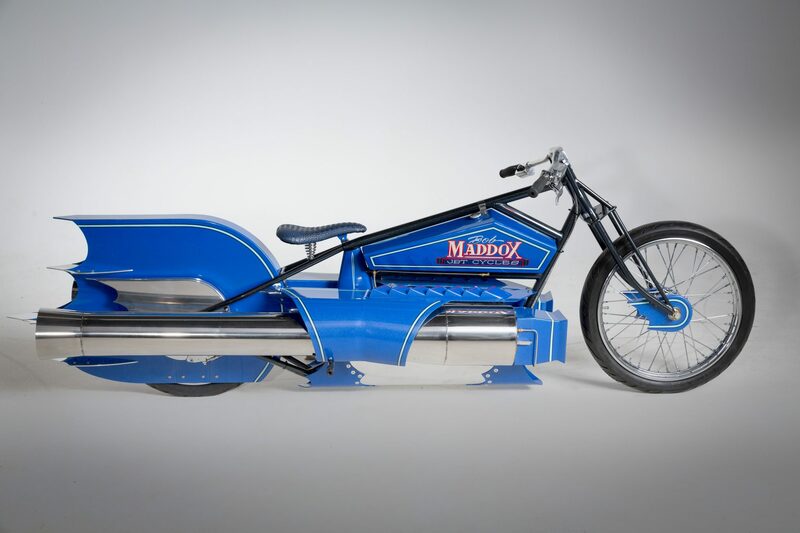 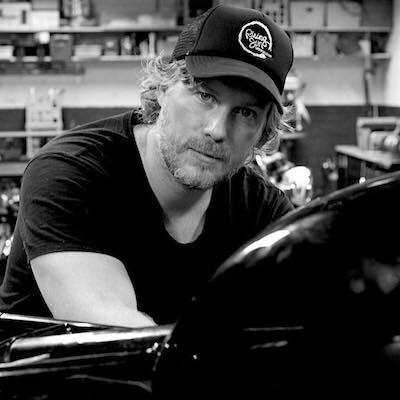 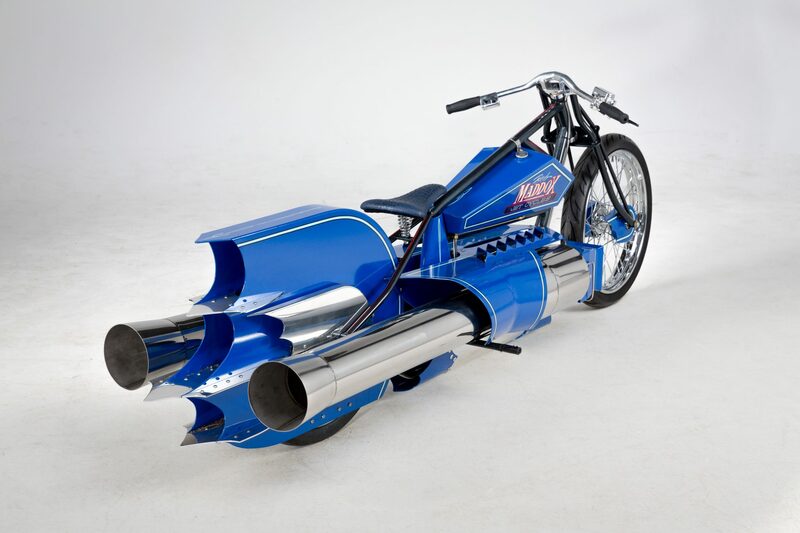 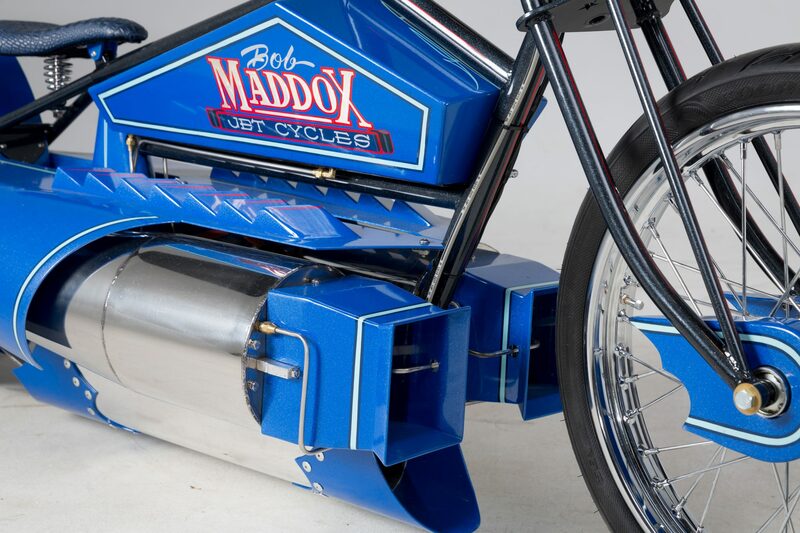 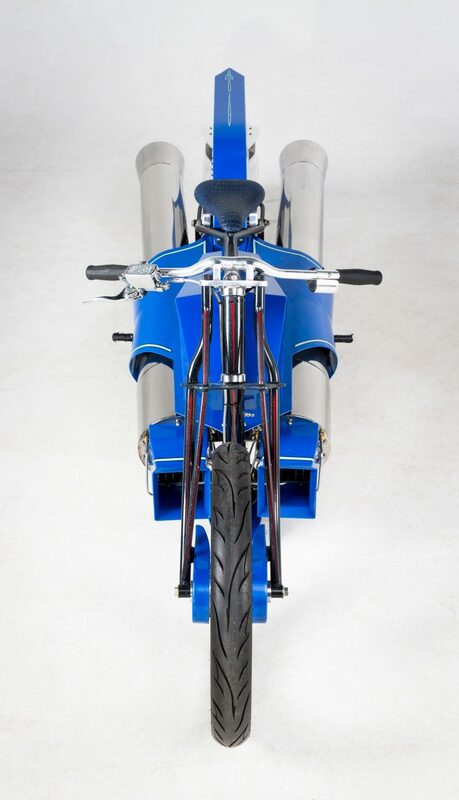 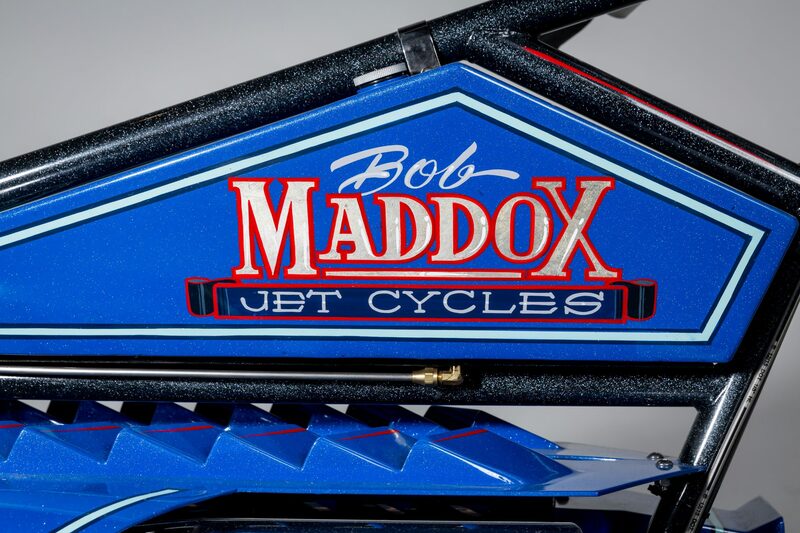 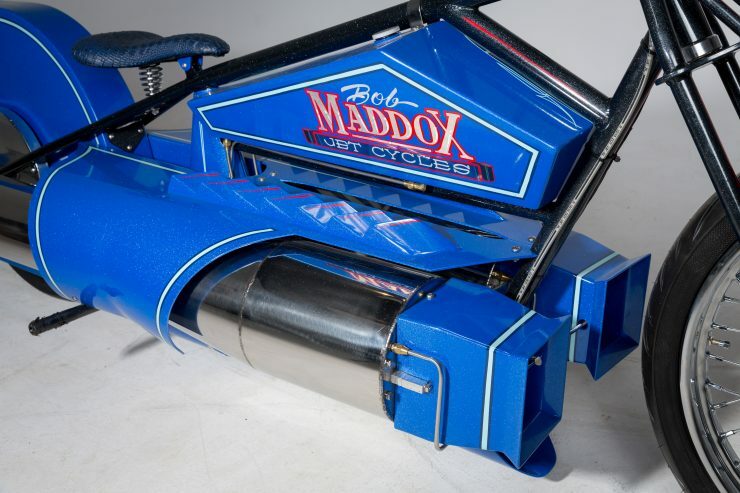 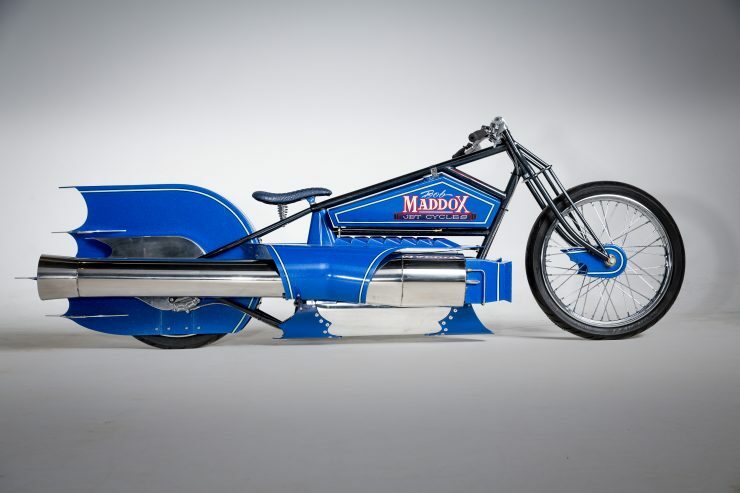 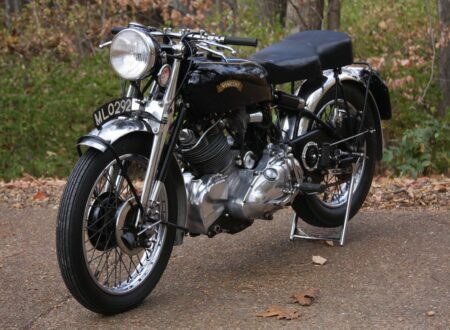 If you’d like to read more about the Maddox Pulsejet Motorcycle you can click here to see its listing on eBay, or click here to visit his official website.